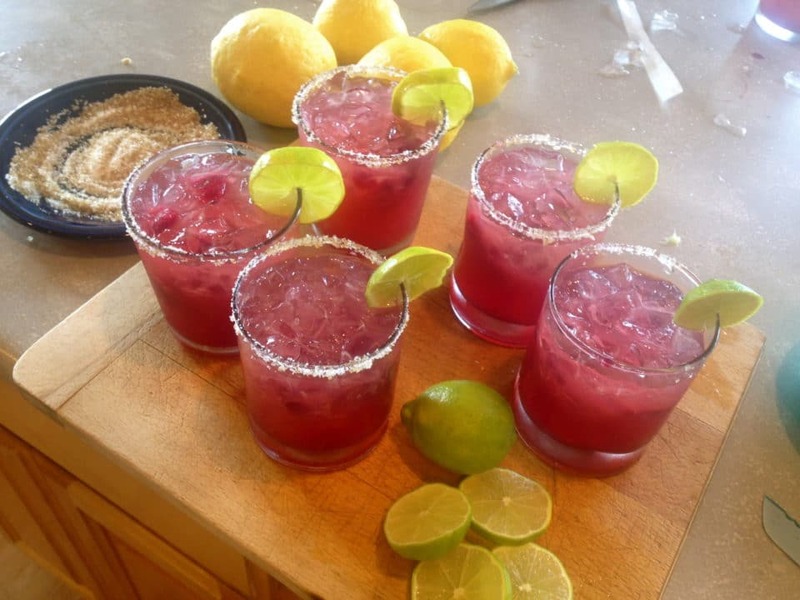 A new summer drink.. Kathy’s Pomegranate Margarita!!! It’s such a refreshing tart cocktail and not too sweet!!! We made them again over the weekend and really perfected the recipe, a labor of love!!!! Mix tequila, juices and agave syrup, make ahead and keep refrigerated. Mix salt and sugar and place on a small plate, rim glass with lime juice and roll into mixture. Pour tequila and juice mixture over ice with 2 pomegranate cubes and garnish with lime slices. Makes 6 cocktails. That looks great, going to make some soon!